The search is on to find Britain’s happiest workers and workplaces for the National Happiness Awards 2017. And this year, in addition to honouring the country’s happiest organisations and employees, the popular awards are expanding to look for the most upbeat teams and future leaders. The National Happiness Awards were the first of their kind and were launched to honour the people and places in the UK making a difference through happiness. Nominations are now open in the categories of Happiest Workplace, Happiest Employee, Happiest Team and Happiest Future Leader. The awards were launched last year by international learning and development company Laughology will be held at the Chartered Institute of Professional Development (CIPD). Workplace happiness is a serious business, and happiness as a commercial concept has gained much traction in recent years. Laughology has been a pioneer in the field and is a market leader in delivering innovative training solutions across the private and public sector. David Brents need not apply. 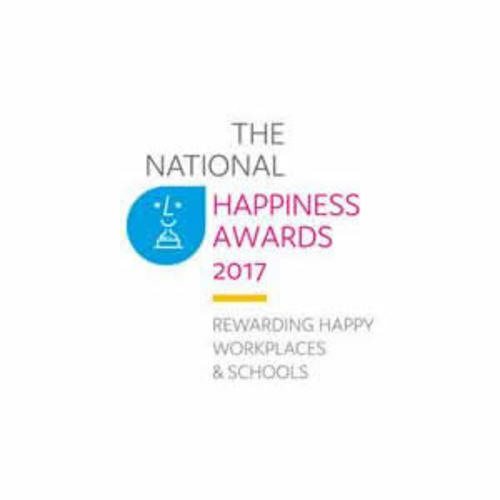 The National Happiness Awards aim to recognise the serious business of happiness, rather than workplace jokers. Judges will be looking for examples of positive programmes and actions which promote engagement and support. The awards are sponsored by Simply Better Events. Nominations for all categories are invited via the Laughology website, where full details are available. The award ceremony will be held on November 17th at CIPD Wimbledon, London SW19. Entries close on October 20th.